Recently I wanted to combine some existing TDM textures, but it was immediately apparent that the normal and specular maps would also have to be worked on. I came up with a reliable way of keeping all the edits in synch. 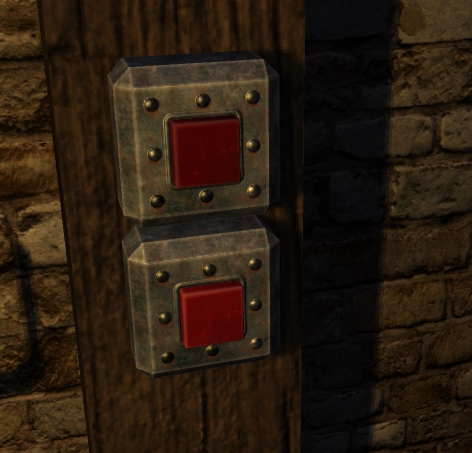 I used this technique to make the metal texture for this red button. Nice one. One note, though: You've written that if the texture is intented for a model, one should import the uv-map. It might prove useful to write how to do that actually. Otherwise thumbs up for the write up. The result is rather underwhelming though. 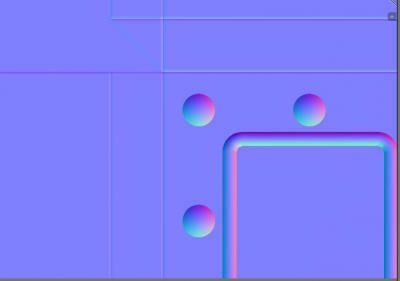 Also, it's worth mentioning that you can't treat normalmap as if it was a typical bitmap. It's a vector map converted to RGB, so stacking normalmaps from different materials isn't a way to go. That's especially important if you want to use other blending modes like overlay for example. Btw. the best practice is having separate files for _d, _n, _s textures, so you can export them separately to tweak them, so they look best in the engine. 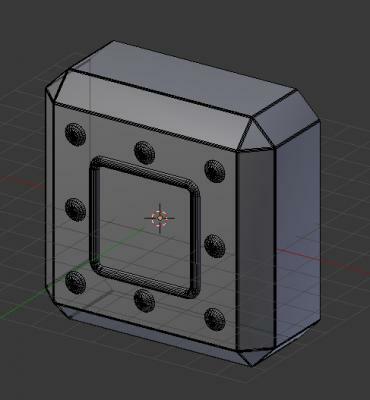 I had a comprehensive texturing tutorial for TDM in mind for quite some time now, but the scope is rather big, so it will probably be long before I post it. Making custom tileable textures is one thing, painting unwrapped models is another huge topic, basically a separate discipline. Edited by Judith, 03 June 2018 - 03:30 AM. 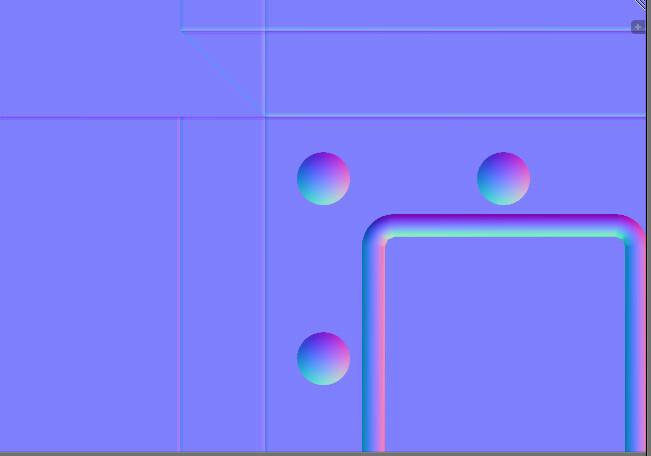 After putting in the time and effort to come up with a technique, and post a step by step tutorial with screenshots, it's rather dispiriting to be told the result is underwhelming, and that one part of it isn't correct, without an alternative being suggested. IMO more knowledge is needed to create such tutorial, e.g. 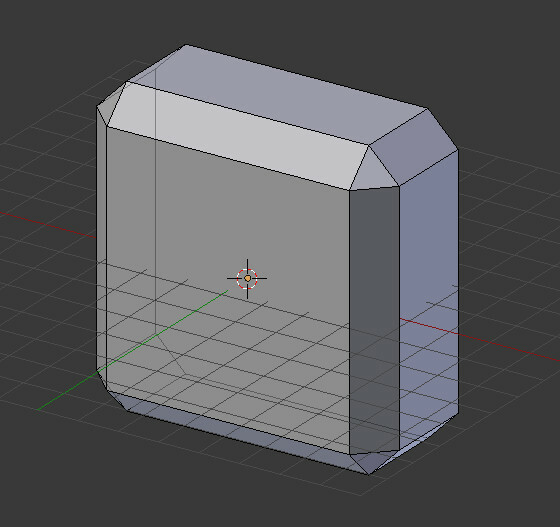 as in case of normals, or setting proper value range for diffuse textures, or preparing a good specular. And the result rather speaks for itself, the button has no contrast, it's almost white-ish, you can't see much of the metal and rust details. Any effort to create a tutorial is of course appreciated, but IMO there isn't enough information about creating textures here. That's why IMO it's better to put your work here first, seek some feedback or peer review, before posting in the "official channels". Edited by Judith, 03 June 2018 - 07:27 AM. It appears to be in Judith's nature to bluntly critique anything that isn't up to his demanding standards, without any apparent regard for how that might demoralize contributors in an already small community. My view, and I think the view of most of the community, is that a half-decent bird in the hand is worth far more than stories of a flawless bird that may come at some far off date in the future. Thanks for the effort in putting that together. The wiki is editable, and counting it as an "official channel" compared to the forum seems a bit exaggarated to me, too. However, it makes sense if others read through the tutorial and see if there are points that could be improved, but the article provides a solid fundament which can be worked on. I agree on one point with Judith, though. Normal maps cannot be added to each other, as the stored information needs to be normalized (as the name already implies). This property will get lost upon additive operations. There should be room for criticism, imho, and it may be possible to do this without using impolite phrases. On the other hand I wouldn't take everything posted here too wordly. You can state that you don't like how it has been said, but that doesn't mean that what's been said is necessarely wrong. And sometimes the writer had no offense in mind (this happens to me every now and then, too). Yup, and we have some really good modelers and texture makers active on the forums, like Epifire, Chedap, or Dagofer. I'm sure they'll be glad to offer their insights and advice. Eh. Yesterday I had a post written up, but then didn't post it basically out of considerations Springheel brings up. There isn't enough wrong with the tutorial to warrant burdening people with extra self-consciousness. But since it's too late for that, I'll expand a bit. If you're going to put out knowledge in a tutorial form, you'd better make sure you [a] aren't giving bad advice, and [b] aren't giving good advice that is easily misconstrued. In the tutorial, when you start copy/pasting and transforming parts of normal maps, the reader may take it as a green light to go ahead and rotate these parts as well. That is most definitely a no-no, and of much bigger proportions than a couple of pixels left non-normalized. Edited by chedap, 04 June 2018 - 09:05 AM. Sure, but I gotta point out that the overly serious and preachy nature of the "advice" is what I consider to be the most counter productive part of any critique. Im sure its a common aspect of our educational environment in general, but in a community based effort, we are doing this for fun and to make other people happy. High horses here are a big problem in my view - saw something wrong, just help out, give a hand. Dont want to? Whatever. Errors are gonna get fixed as knowledge increases, or when someone else more experienced comes along and help out. As for the tutorial, thanks mate! But I do have a challenge for you - why not go further and look into Obs' method of blending materials in game, bring that to the tutorial somehow? Or, failing that, why not complete the information by letting whoever is following the tutorial know how to put the results in game? And sure, if you can take on board some of the points brought up, that would be cool. The more contributions, the merrier. Edited by RPGista, 04 June 2018 - 01:42 PM. Thanks for the continuing input everyone. It's better now that people are saying why some things are wrong. I just about understand why combining normal maps as layers could produce the wrong result, but not how to get the correct result. While searching (with DuckDuckGo instead of Google) I found this, which also explains the problem (in tiny writing). I see that Judith's started a texturing thread, so I'm sure that will be a better place to go for more accurate information. I don't know enough about that to want to put it in. I think that's beyond the scope of the tutorial. I think it should focus on the textures themselves. Material files and folder structures are mentioned elsewhere. I just about understand why combining normal maps as layers could produce the wrong result, but not how to get the correct result. That's the thing, you can diminish the side effects of hand-tweaking the normal map, but to get the correct result consistently you shouldn't even be doing that in the first place. Instead, you should be working with a heightmap and turn it into a normalmap at the end of the process. Errors are gonna get fixed as knowledge increases, or when someone else more experienced comes along and help out. For almost a decade a cgtextures visitor would find this little guide in their tutorial section. Exciting new possibilities! You'd even be forgiven for not thinking the last image in said tutorial looks like garbage. I mean, the guy works in the industry, he's gotta know what he's talking about.. right? Well no, not really. I'm speculating, but I bet there are thousands of cg artists who, even if they don't use the method described in that tutorial, still believe "overlay" is the way to go with normal maps, even if the only reason for using it in the first place was that it looked slightly less bad than the other blending modes. Even if you've never seen the tutorial, someone somewhere has, and then you've read that someone's advice to use "overlay". Now, the guy has an excuse. 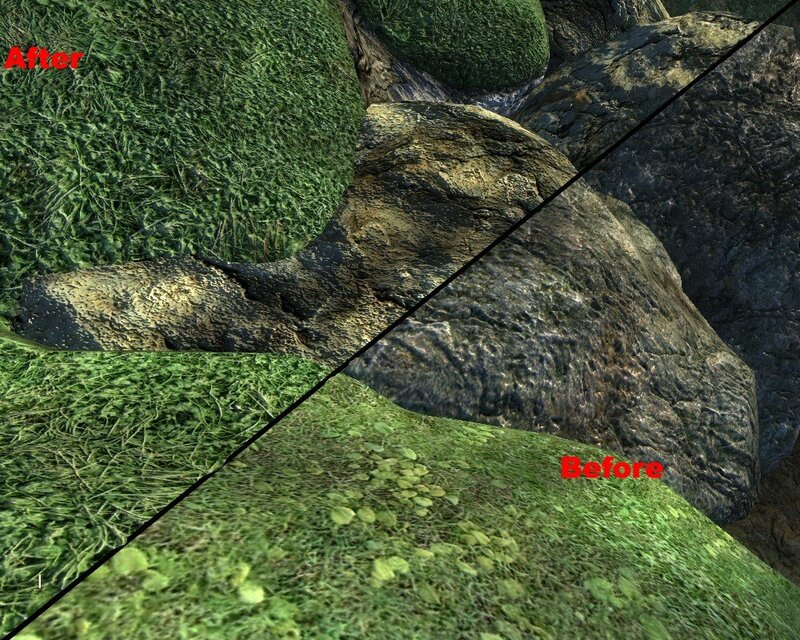 Prior to 2007 there were pretty much no tools at all for working with normal maps. But maybe if he'd have written "overlay is a hack to somewhat imitate properly working with a heightmap", it wouldn't have taken until 2015 for people to start coming up with actual solutions. And maybe it wouldn't have caused a "loudness war"-like obsession some people have to this day. Point is, if it's hard to learn things, it's that much harder to unlearn wrong things afterwards. There is now a mostly functional script for Photoshop to combine normals properly, but afaik there still isn't one for GIMP, and there may never be one, since the industry has moved on to more abstracted software that doesn't involve touching normal maps by hand at all (meaning, combined with "overlay myth", there's just no demand for such a script). As part of my penance I had a go at making the normal map in Blender using a high poly object. I added a ridge around the button and the corners of the main base object. I'd like to add some roughness for the rust. I had a look at nJob and its tool for converted a normal map to a height map (which Blender can use to make real height). I tested it using the above normal map and the result isn't quite right, but I think for something as random as rust, it won't be a problem. Cool! That's a nice improvement.